Score free shipping on any Target.com order! Click here to activate your deal! FREE Frozen DVD with Purchase! Get your FREE Disney Frozen sing-along DVD when you purchase $50 in Frozen items! Click here for details. Just can’t wait to decorate? Start early with Holiday Decor that makes everyone happy! Click here for details. Walmart Black Friday Deals are already available! 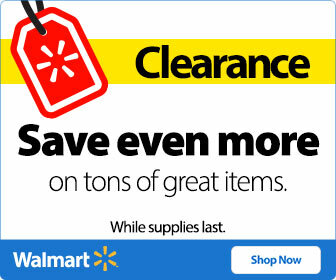 Walmart Black Friday 2014 sales: Hot items already revealed at discount prices! Walmart has their Black Friday deals on sale now! The deals are everything from toys and electronics to housewares. 100 items are being offered for purchase with free shipping. Among some of the Walmart Black Friday deals this year, is the XBox One Bundle with Assassin’s Creed 4: Black Flag &Assassin’s Creed 5 for $349; (was $399.96). Or get an RCA 46″ HDTV for $299 (originally $499.99). “Frozen” Light Up Dress is $27.99 (regularly $34.97). Zoomer Interactive Dino Boomer is $79.88 (more than $20 savings). And get a Kuerig Elite K40 Single-Serve Coffeemaker Brewing System for $99! Buy one get one 50% off on kids clothing at Target! Deal Queens Favorite Savings Tip! Rather than buy a newspaper for the coupons, download the store app to your smart phone and get the coupons delivered to you! No clipping or time spent keeping track of your coupons. No more leaving them at home! Or you can go to online coupon sites and just print the coupons you need! You can even find organic coupons! Save money without having to do much work for it. Couponing can be really easy these days. End of Year Deals are here! !